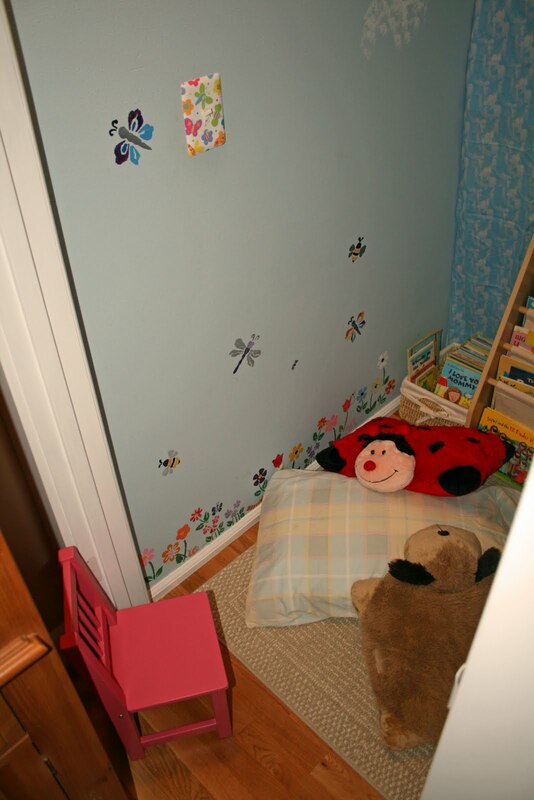 Prior to the spring of 2009, I had a very teeny tiny family room to go along with the teeny tiny bedrooms for my children. At a loss for what to do for extra space for my children's toys, I ended up turning a little used closet under the stairs into a toy closet for them. 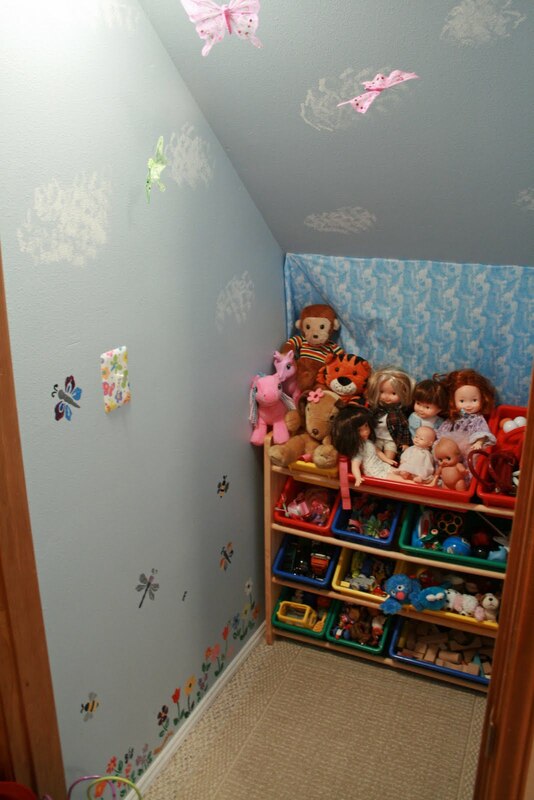 After moving all of the toys, the toy closet ended up unused for over a year. Actually, it ended up being the place where I shoved all the stuff I needed to donate to charity. Finally I decided to reclaim it as a reading area for my children. I put Golden Books in a basket on the floor and put picture books in the book sling shelf along the back of the closet. The only item I bought for this reading area is the book sling I purchased from Amazon (it is by KidKraft and I paid around $50) but there are different versions at multiple retailers. 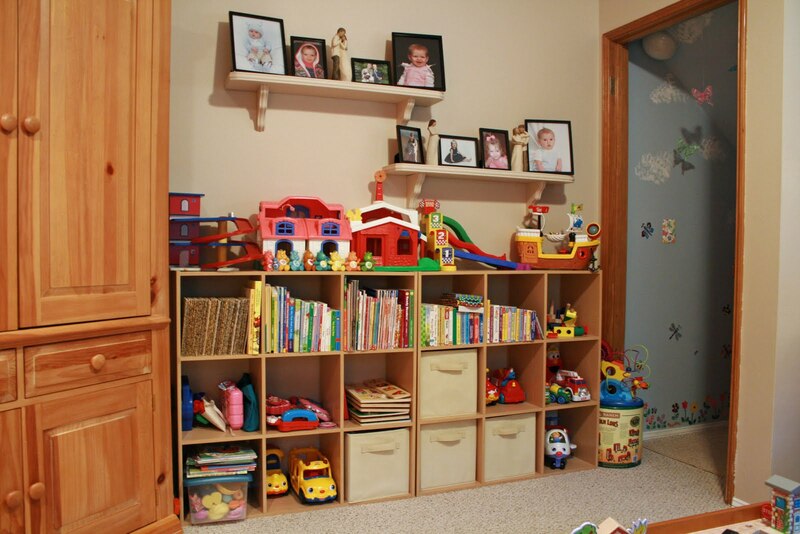 Just like the rain gutter book shelves I put up in my son's room, I think it is great to have bookshelves that allow children to see book covers. My children were so excited when I showed them their new reading area! They call it "The Book Nook" and love reading in there. It is a cozy space that they can make as snug as they wish. I love providing different areas for my children to read and this one definitely is proving to be a favorite of theirs. 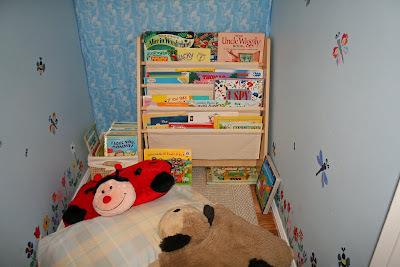 I would have loved to have had a reading corner like this when I was a girl! A little secret hideaway where there imaginations can soar. Very cool! And I love reading nooks!! 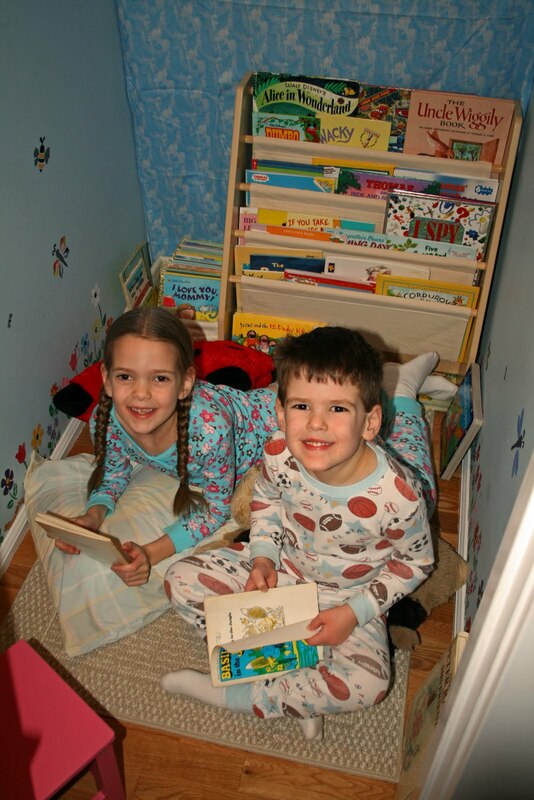 The kids love to cozy up in a spot to read. I would love a spot like that to create a little nook. So cozy! 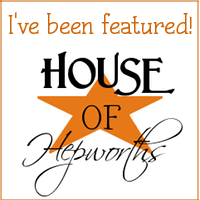 Hello, Thanks for stopping by and commenting on my blog the other day! 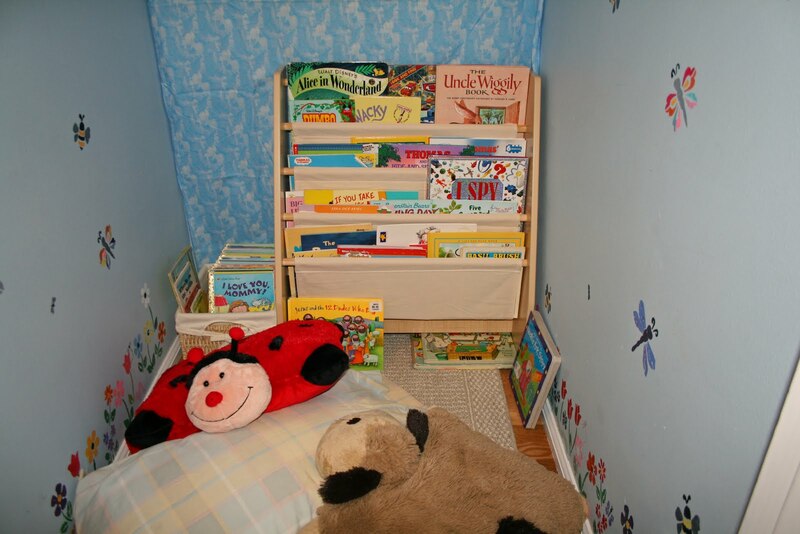 I love your little reading nook and the gutter bookshelves you made! My daughter is not even 2 but I hope we are able to do projects like these to keep her interested in reading in the years to come. This is just so fabulous! What the perfect use for this space! I wish I had a sweet spot like this....for me! I love this idea! What a great use of space and it's perfect for them! That is so neat! My kids would totally love that. What a nice space. My kids love climbing into cozy little places like that...I wish we had one for our books!